The Friends is a group of volunteers who provide financial and volunteer support to the Enterprise Public Library located at 101 E. Grubbs Street in Enterprise, Alabama. If you missed our Home School sale, we still have some great buys. 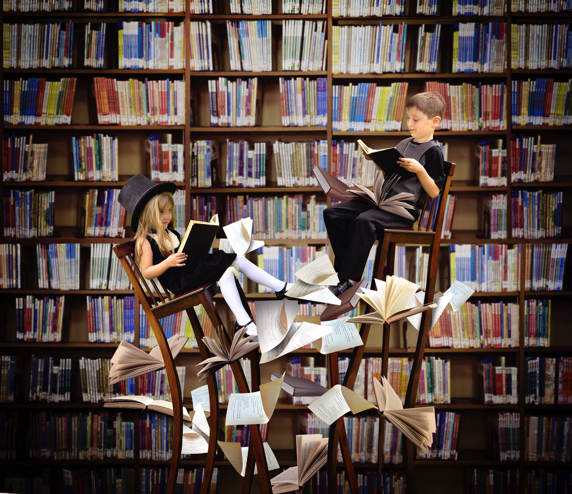 Popular fiction and nonfiction for children to adults, DVDs, music CDs, books on CD, as well as vintage, signed, and classic books are available. There is a wide selection of history books: military, aviation, Civil War, U.S. and general world history. 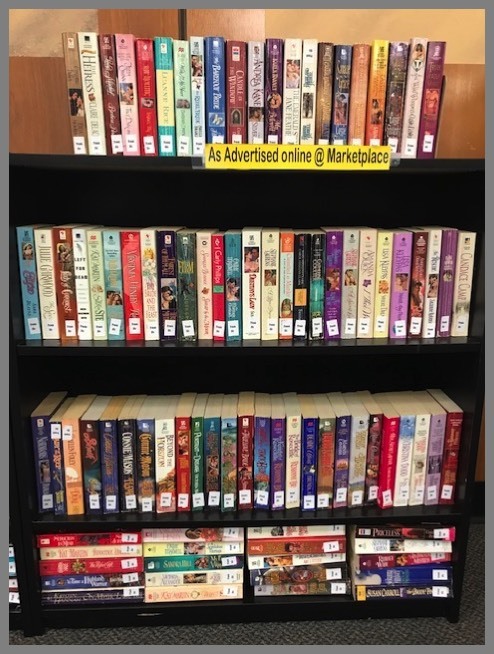 Cookbooks, literature, biographies and memoirs, health and diet, religious and inspirational books, craft, handyman books, humor, and relationship books and more are also for sale. It's all about romance and we have lots of your favorite authors! 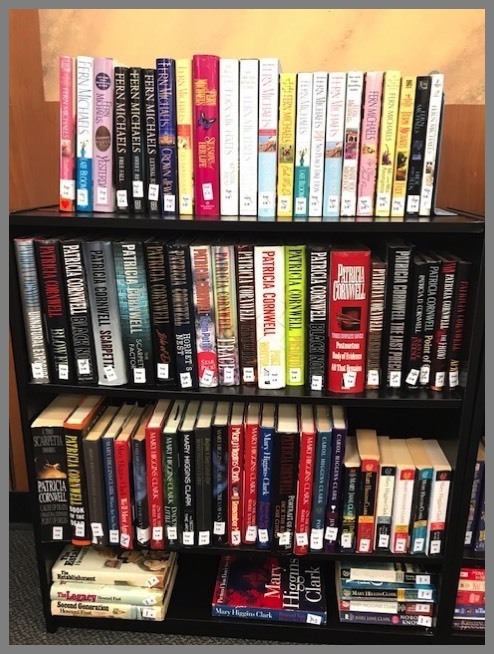 These paperbacks are 25¢ each (black bookcase only on 2nd floor of the library). If you prefer a little criminal suspense in your reading, Patricia Cornwall and Mary Higgins Clark are waiting for you. With a little Fern Michaels thrown in to sweeten your reading pleasure! If you haven't visited the Friends Daily Deals section in the library, you're missing the chance to buy a wide selection of items. Thank you to everyone who buy books in our Daily Deals section. Keep shopping! There's still time to become a member of the Friends and enjoy benefits such as the early bird pre-sale during our spring sale. We're running more specials so be sure and check our Facebook page for special book deals. 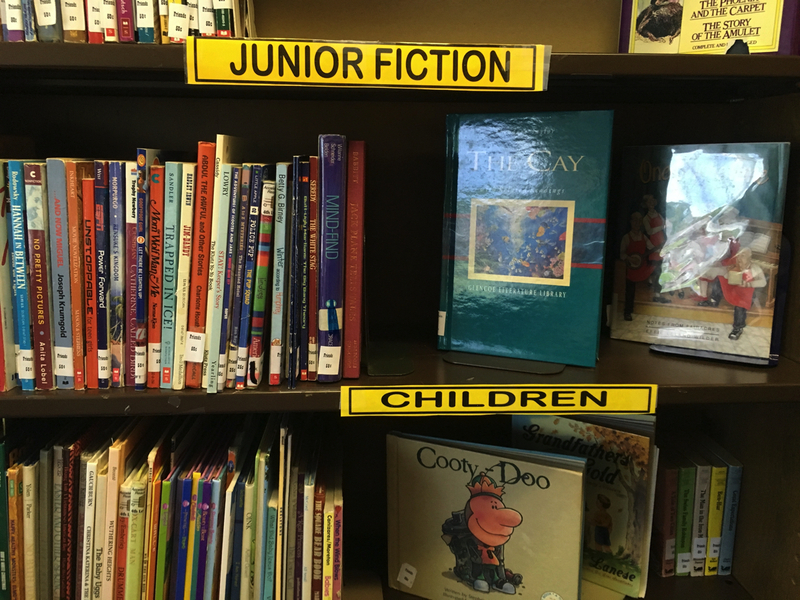 We have fiction and nonfiction hardback and paperbacks for children, junior, young adult, and adults. We have DVDs, music CDs, and books on CD. All at amazingly low prices. You'll find a little bit of something for everyone! Visit our Daily Deals section during normal library operating hours. Monday - Wednesday - Friday 9 a.m. to 5:30 p.m.
Tuesday and Thursday 9 a.m. to 7:00 p.m.
Keep up with what’s happening with The Bookmark, the Friends newsletter. Fall 2018 edition now online. Don't miss our upcoming sale of home school items. If you can't make the sale, be sure and drop by the library during normal operating hours. The Friends keep a large selection of home school items books on a book cart labeled "Home School" and "Reference." We sponsor two 2-day book sales a year. These semi-annual book sales are usually held in April and October. We also hold a 25¢ sale early in the year–this year we're experimenting with a 2-day sale. We also hold a Daily Deals only sale during the summer. Fiction and nonfiction books for all ages, DVDs, music CDs, and books on CD are offered for sale. 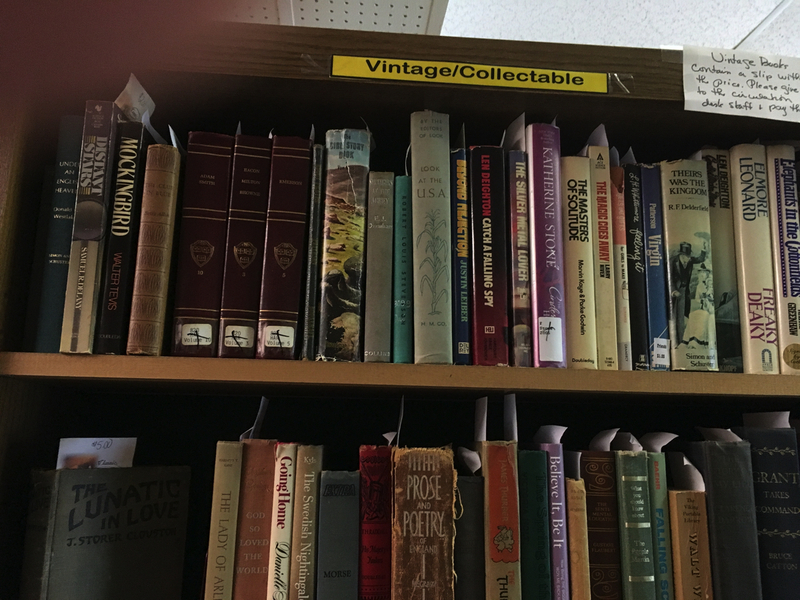 We have a selection of classic, vintage, and books signed by authors available, too. 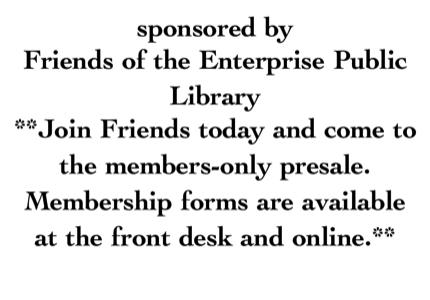 Members of the Friends of the Enterprise Library organization are eligible to attend the “Members Only Sale” held Thursday evenings during the semi-annual sales. New memberships will be accepted prior to the sale and at the door. They are also accepted at any time during the membership year which runs from 1 October to 30 September. Information about the major book sales can be found on this website, our Facebook page, Craig’s List, and BookSaleFinder.com as well as local media outlets. Bookmarks with the current sale information are available at the library prior to the sale. Members receive two newsletters a year, timed to advertise the upcoming spring or fall book sales. The Friends also have a “Daily Deals” area on the second floor of the library. 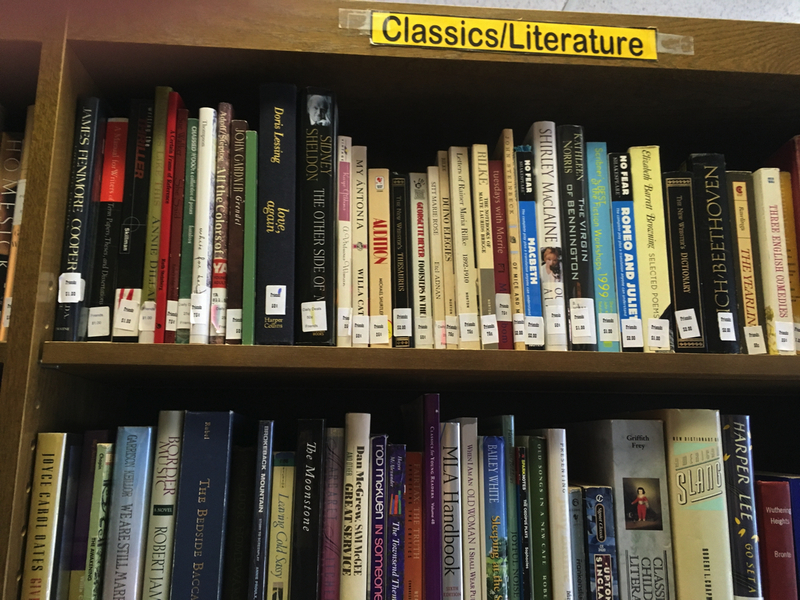 Updated on a weekly basis, the Daily Deals area offers items from the book sale room. This area can be accessed during normal library operating hours. Our financial support to the library helps buy books, equipment, and software such as the Camellia. This program allows patrons to access a statewide consortium of libraries and share in a large pool of ebooks available for download. Friends funds are also available for matching grants. Recently, the Friends matched a grant for new computers for the library. For details on who the Friends are, check out the All About Friends page which includes a pdf copy of our latest membership brochure. To learn how to become a member, click “Join Friends” at the top of the screen. The membership form also gives details on how you can volunteer your time for the benefit of the Friends and of the library. Read the 2018 Fall newsletter “The Bookmark” and find out what we’re doing! Visit our Facebook page.